Do you think 99% of the banner ads out there could be much more creative? Compelling? Delightful? Do you think most landing pages are confusing and suffer from that same lack of delightfulness? We do too. 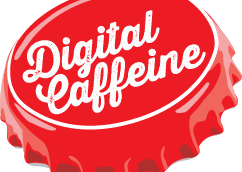 Digital Caffeine is in search of the right designer who wants to make the web a more delightful place. Loves building landing pages. Bonus points for using land page software tools such as Unbounce. Has a genuine interest in the performance and testing of ads and landing pages. A link (not attachment) to your favorite displays ads. Even if they didn’t run or you just made them up—that’s fine. As long as you created them. Landing pages. Ditto on the instructions above. What’s your favorite caffeinated drink? This position is a Contract to hire position. We want to make sure we like you as much as you like us. All applications that include the above will receive a personal response.